Jim has over 5 years of experience as a software developer, working in the petroleum, communications, pricing optimization, and financial/energy credit risk sectors. He has a B.S. in Computer Science from Texas A&M University. He currently works for Triple Point Technology as a Sr. Software Developer. He is also SCJP 5 and SCEA 5 Certified and has spoken at the JavaOne and Houston TechFest conferences and at HJUG meetings. Clay has nearly 7 years of experience in the software industry. He began working as a PHP developer for a small local IT company while concurrently working on a Computer Science degree at University of Houston. His projects led him down the path of learning C# and Visual Basic. He now works as a Java developer for ROME Corporation, a software company specializing in Enterprise Risk Management. He is very passionate about software development, his wife, two kittens, and leopard gecko, music, and beer. Stephen Nimmo is a Senior Technical Manager for SunGard Global Services, specializing in business consulting, technology consulting and managed services for financial services firms and energy companies. His main role is as an enterprise and solution architect with a particular focus on energy trading and energy risk management. He has experience in many Fortune 500 companies, where he has delivered solutions to clients across both energy and financial services. Stephen has extensive experience in front- and middle office energy trading activities, as well as deep knowledge of exchange integration and energy transportation. Adam has 8 years of experience as a software developer, working in industrial automation, wholesale and most recently pricing optimization. He has been using Java professionally for 6 years after making a much desired switch from C/C++. He currently works for PROS Revenue Management as a Software Engineer. He has a B.S. In Computer Science from Rochester Institute of Technology. Daniel Solano G�mez runs Sattvik Software & Technology Resources, a software consulting and development company based in Houston. He has been developing professionally for nearly fifteen years, and has worked in a variety of industries such as telecommunications and petroleum services. Daniel started learning Java in 1996, and has used it to develop on platforms ranging from mobile devices using Android to enterprise middleware using Java EE. He also has a strong interest in other JVM languages, especially Clojure and Scala. Daniel is a proponent of open source development. 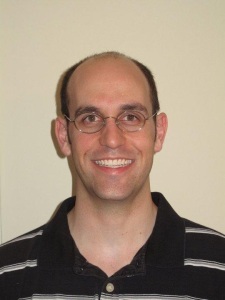 He is a committer to Gentoo�s Java project, and a contributor to the Clojure programming language. He has also had patches accepted into other Java open source projects such as Checkstyle.